People with brown eyes appear more trustworthy than those with blue eyes, unless the man has a broad face. What – is this for real? According to a study conducted by Karel Kleisner and colleagues from Charles University in the Czech Republic – the answer is ‘Yes’. 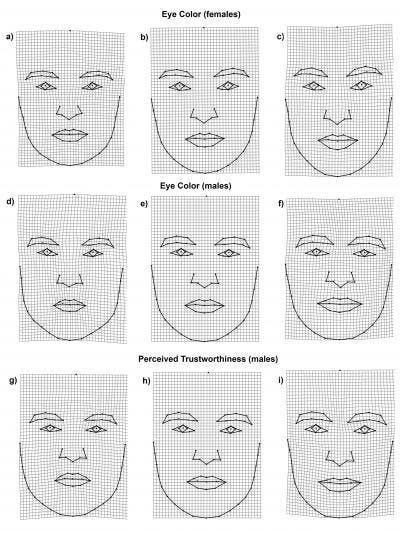 The point of the study was to determine what makes us trust somebody by his/her face; the researchers asked volunteers to rate trustworthiness based on two features: eye color and face shape. For most people, people with brown eyes were more trustworthy, despite being male or female. The same effect was observed for male faces with bigger mouths and larger chins, as compared to those with smaller chins.